In a multi-channel workflow environment, publishers face many challenges. The main goal is to reduce the time and effort it takes to create and deliver content for multiple media channels, as well as for different audiences. Using K4 and Drupal together can help organize all of your content under one dynamic system, saving your company time and money. 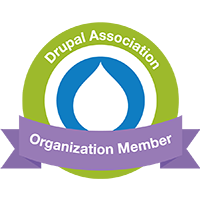 This solution is appropriate for companies that are looking into using K4 or Drupal, as well as organizations that currently use either or both. Currently, K4 users might find themselves cutting and pasting content from Adobe InDesign or InCopy into their Web content management system. They might also send their documents offshore to be converted to XML. The new Drupal module created by DPCI can streamline these types of workflows by allowing editors to publish stories directly to the website, without ever leaving K4. Print-to-Web: A story is in its final round of edits in InCopy. The editor is going to make final adjustments and release the story early to the website, rather than wait for the print magazine to be finalized. The article will then appear in its finished state on both the website and the magazine. From InCopy, the editor maps styles to tags to insert XML tags based on the paragraph or character styles applied. When the article appears on the Drupal site it will be styled according to the look and feel of the tag defined in the CSS of that Website. The editor can also define various metadata fields, such as title, keyword and description. This lets the editors, who know the content best, provide all the metadata needed for Search Engine Optimization. The URL and page title are also generated by the metadata that was entered into K4. This streamlines the workflow, allowing editors that are already familiar with K4 to input metadata without ever having to learn Drupal. The article is then automatically published on the Website based on the status it was given in K4. Web-to-Print: The opposite scenario is that a story must be written for the Website with the intention of re-purposing it for print at a later time. The K4-to-Drupal module allows editors to publish articles directly to the Web from inside InCopy using K4. Without knowing anything about Web tagging, they can deliver stories to the Web with a few simple clicks and have all the metadata created in K4 populate a Drupal Website. They can then take an article created for the Web and use it for the print publication. If your company has a multi-channel workflow where it needs to publish content for both the Web and print, consider leveraging K4 for your editorial system alongside the Drupal Web content management system. With DPCI's new K4 module for Drupal, re-purposing your content across multiple platforms can be fast and efficient, without restraining resources.